The first layer transports moisture away from your body. It is important to choose a good base layer to wear next to your skin in order to keep your body dry and ventilated. Forget cotton – it soaks up and retains moisture. 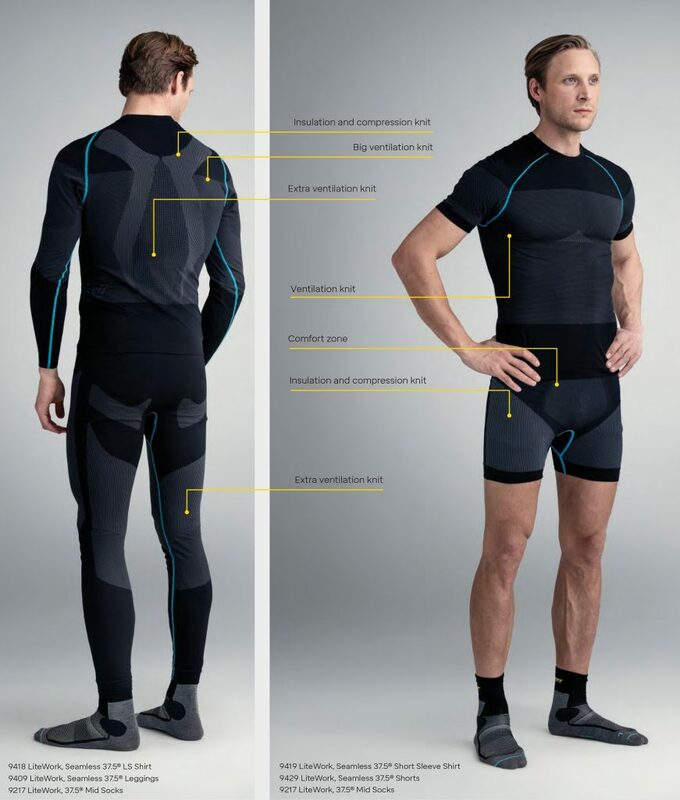 All our base layers offer seamless comfort and a fantastic fit, but with different degrees of ventilation and warmth. Based on your activity level at work, you can choose between our three underwear families: FlexiWork, FlexiWork Merino Wool or Lite-Work 37.5® for active moisture wicking. Snickers Workwear presents a new underwear collection. Our new high-tech underwear comes in three different families to cover all variations in climate and physical work. 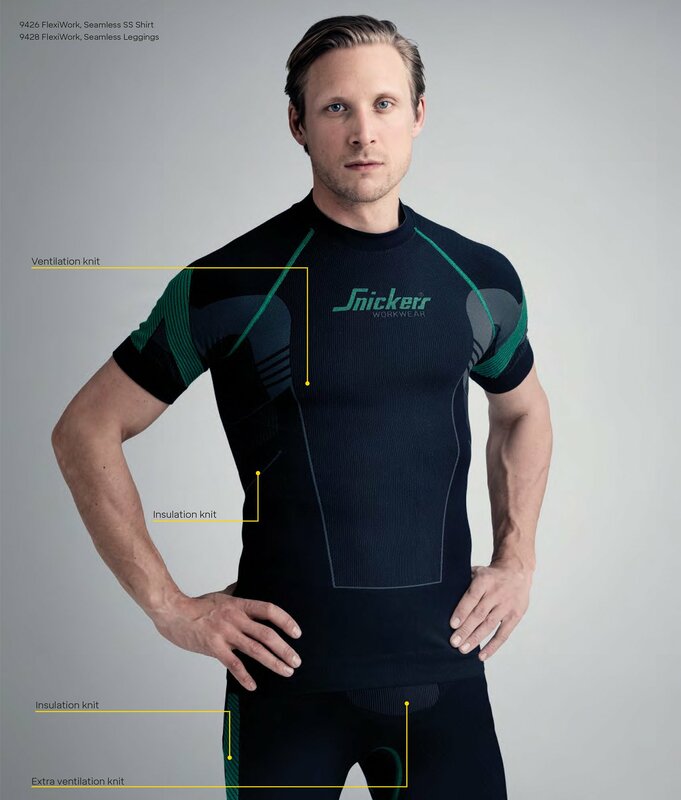 Its advanced design makes it the ultimate base layer. It provides the right warmth and comfort thanks to the breathability of the material which is crucial for ventilation and wicking moisture away from the body. The design offers seamless comfort and the clothing is based on 37.5. technology and a combination of fibres, such as polyester, polypropylene, polyamide and Merino wool. All this makes the collection suitable for different types of work over a range of different temperatures. LiteWork with ultimate moisture-wicking properties. 37.5® functional fibres have proven capacity when it comes to climate control and wicking moisture from the skin. An added bonus is that they are naturally odour-repellent. Our 37.5® clothing is particularly suitable for intense work where the ability to ventilate excess heat is essential. FlexiWork – a classic in a new guise. We’re pleased to present a new version of the classic XTR range, with an updated design and enhanced functionality. New, advanced body-mapped design and stretch fabric offer even better warmth and ventilation. 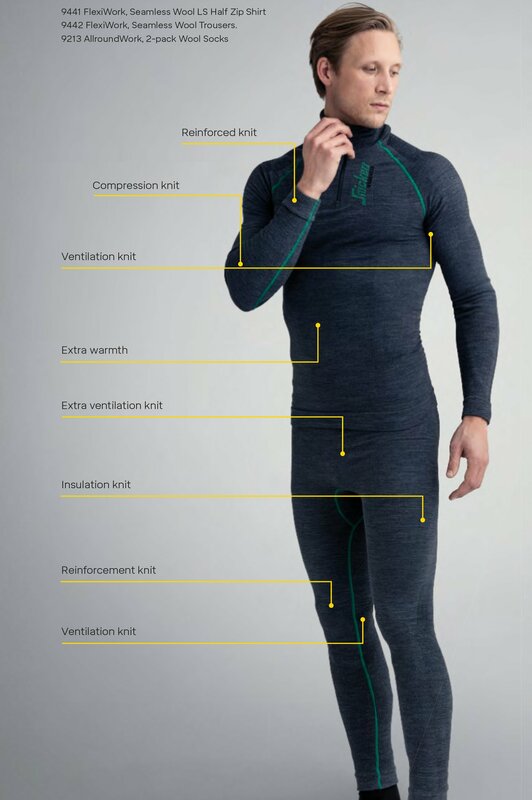 We’ve blended Merino wool with polypropene, polyester and elastane fibres to create a base layer that’s designed for hard work, that ensures optimal ventilation and that will keep you warm. No matter what the working conditions are like, our socks will keep feet dry, warm and cool. For example, we blend Merino wool and strong Cordura fibres for soft comfort and excellent wear resistance. And don’t forget to tell your customers about our 37.5. socks. They offer the driest imaginable comfort with superior moisture-wicking performance. 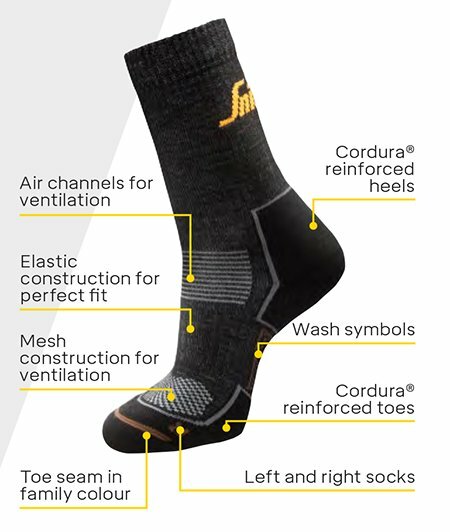 Unlike synthetic socks, active fibres in the material react to changes in the body’s temperature to keep the wearer comfortably warm whatever the weather.